Being a pretty large store, you can bet that we have just about every reading interest, genre, and sub-genre covered. And the same is true for our non-literary pursuits. We have musicians, jugglers, weight-lifters, knitters, cyclists, runners, carpenters, dancers, baseball nuts, and movie buffs. And do we ever have gardeners! It's not uncommon to waltz into work during harvest time, and find a veritable cornucopia of home grown treats patiently awaiting staff consumption. Among our many Farmer Johns and Janes, Erica stands out for her recent commitment to transform her backyard into a self sufficient, urban farmers dream (this adorable baby chick is one of the recent additions to her flock of 7). Here are two books she swears by in her pursuit of agricultural Nirvana. 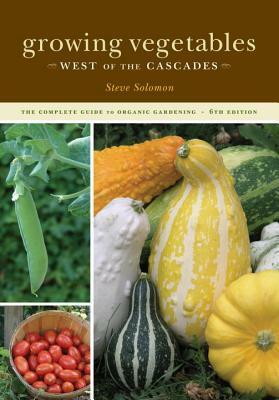 Growing Vegetables West of the Cascades is my indispensable guide to planting vegetables on my 1/4 acre plot in Shoreline. Steve's honest assessment of what will grow well (not melons) and how to induce ideal conditions for the on-the-cusp plants (like peppers) is pragmatic and ideal. The timing charts for when to get seeds in the ground has been my best friend year after year. When I first started out, I would always mistakenly plant too late then wonder why I wasn't getting any harvest. Benefiting from Solomon's direct experience, now, I know to always make a planting chart, and to start in the beginning of March. If you have any remote interest in urban farming and jumping on the self sufficiency train, then pick it up, check it out and get excited for Spring! Permaculture is the practice of designing habitats that mimic natural ecology systems. It is integral to making a small plot of land as productive as possible in an urban environment while adhering to sustainable practices. Gaia's Garden is an exemplary look at integrating wildlife, domestic life, rainwater caching and plant guilds to create an oasis of sustainability and practicality. 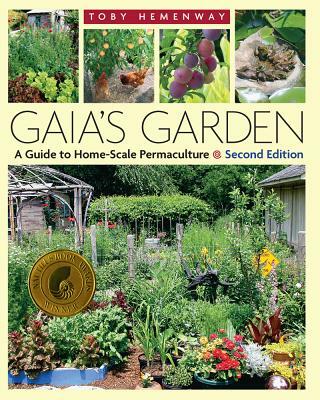 It is a great look at the possibilities of permaculture and ideas for getting started creating your own garden. It is an inspiration to read and use and I hope to implement almost all of the ideals into my yard and garden.